A beautifully landscaped resort with rich vegetation and 500 metres of golden beach frontage. 75 villas and lanai cottages, two restaurants, one bar and an Amphitheatre for cultural performances, are set within 15 acres of grounds, recreating the atmosphere of a Balinese village. 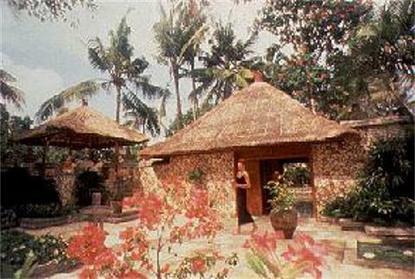 There is a serene ambience which makes it an idyllic retreat for the international visitor. Seemingly far away from the tourist crowds, it is within 25 minutes from shopping centres and night life. Member of Leading Hotels of the World and Small Luxury Hotels of the World.